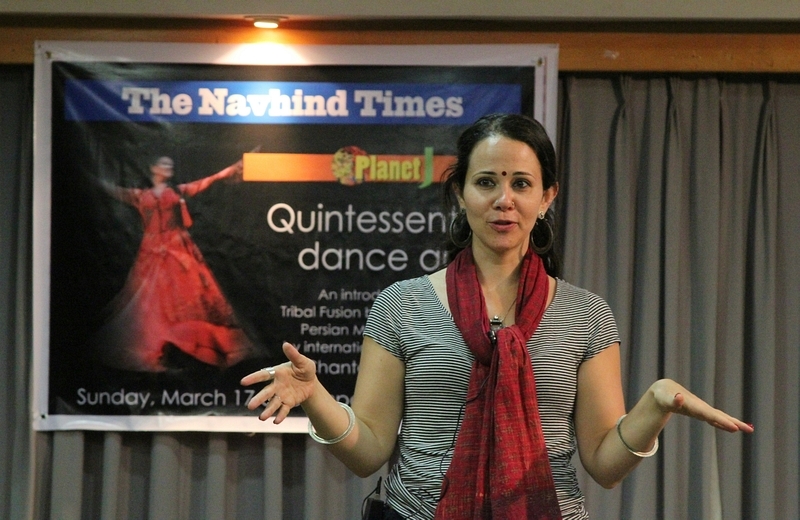 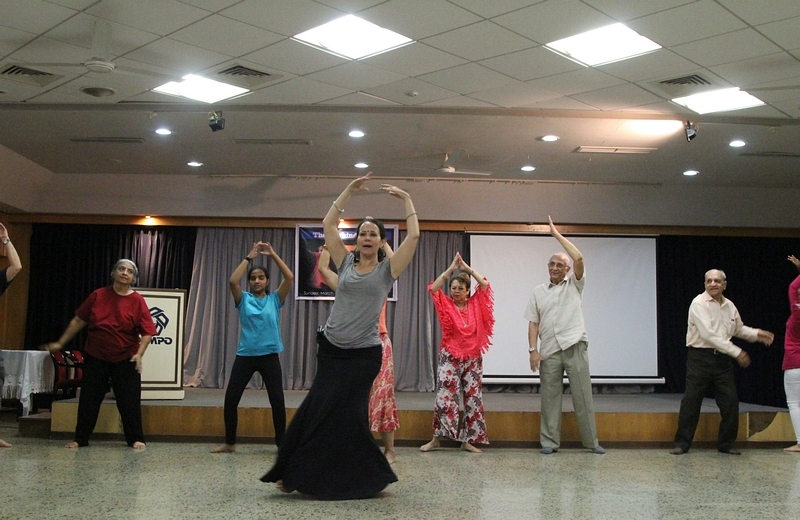 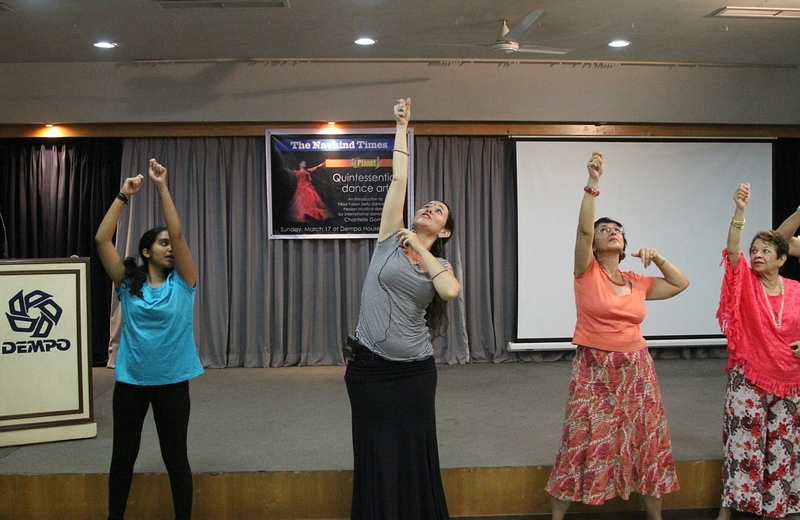 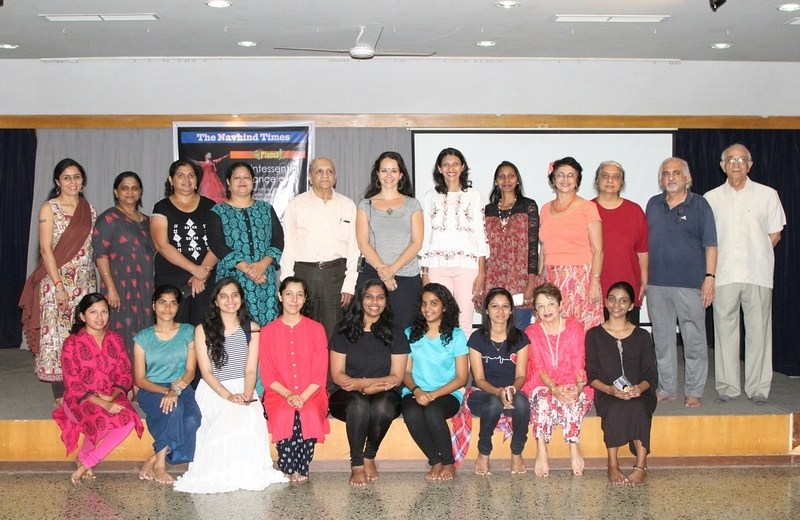 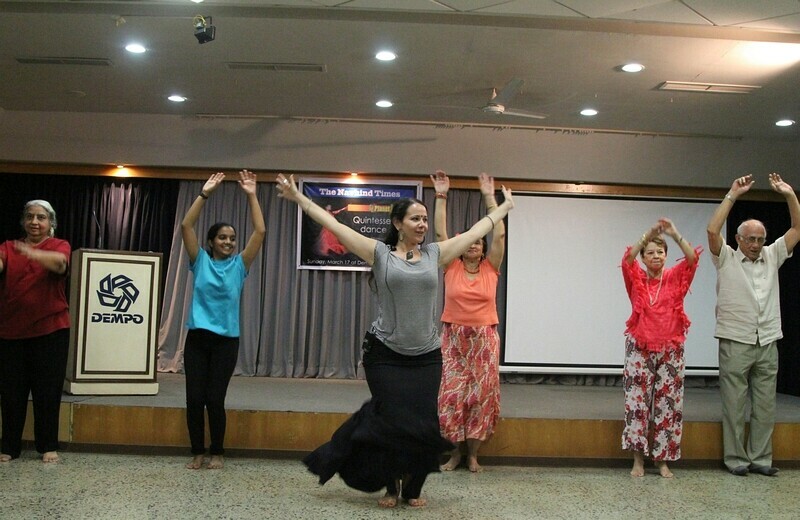 The Navhind Times Planet J, ‘Quintessential dance art‘, an introduction to Mystical Persian dance and tribal fusion belly dance, was held on Sunday, March 17 at Dempo House, Panaji. 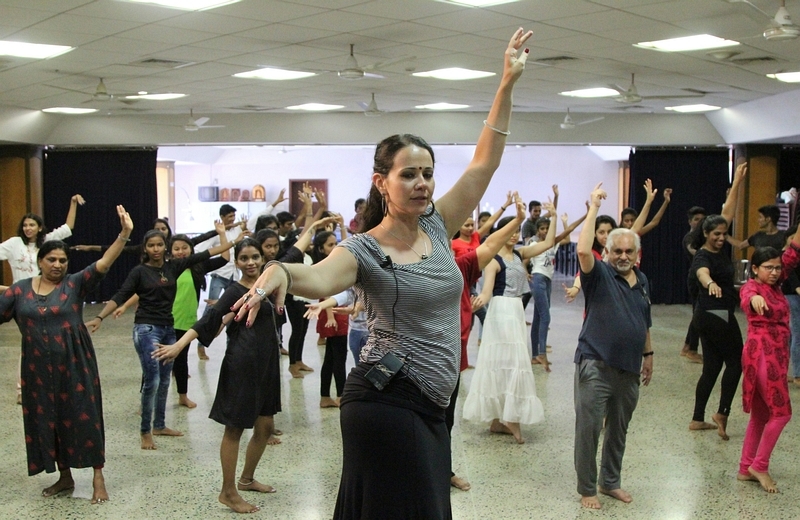 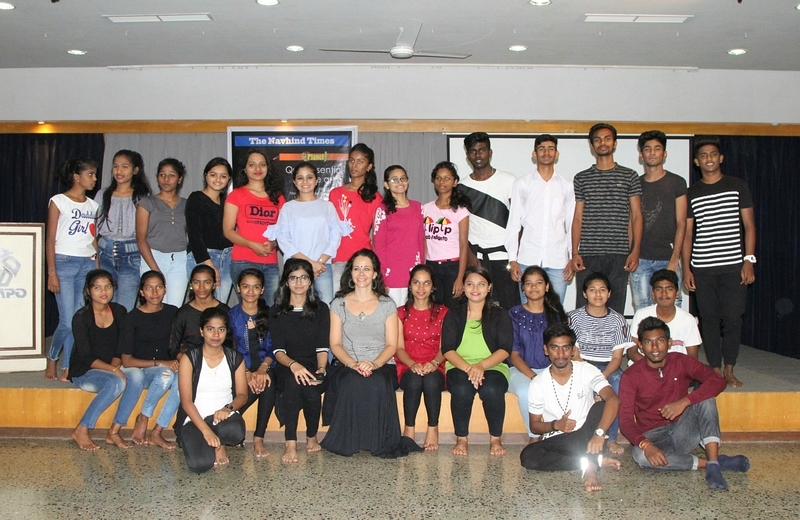 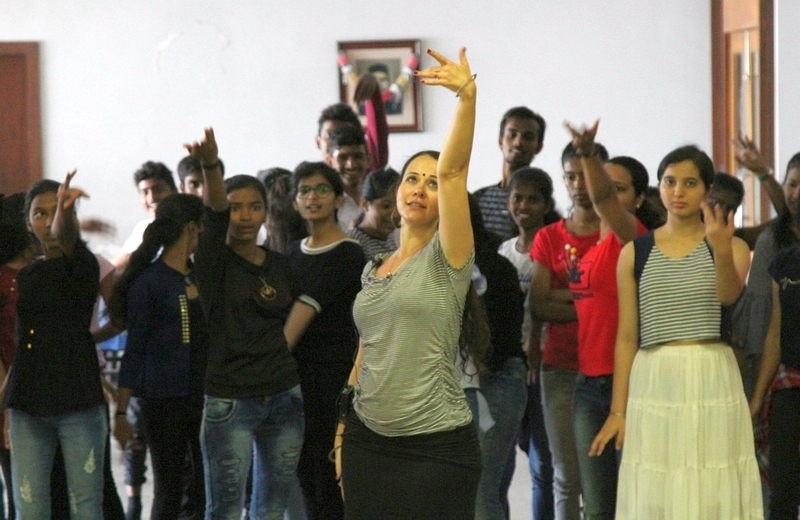 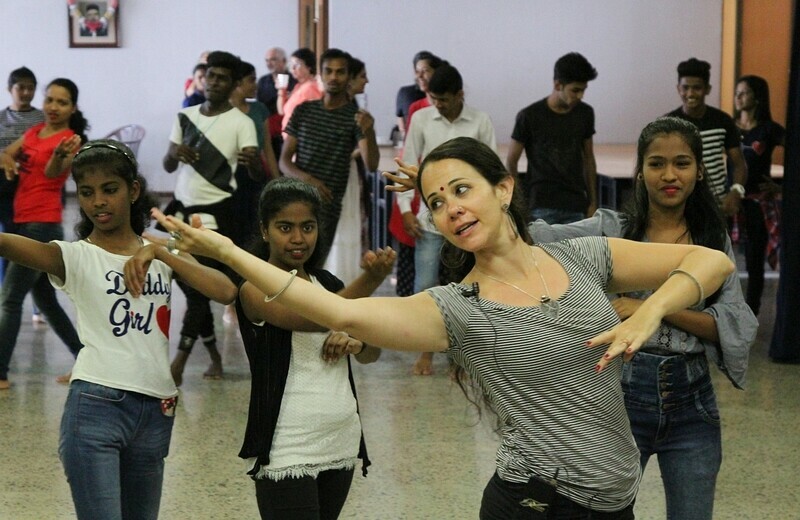 Conducted by international dance artist from Portugal, Chantelle Gomez, the two and a half hour workshop was open to those above 15 years of age. 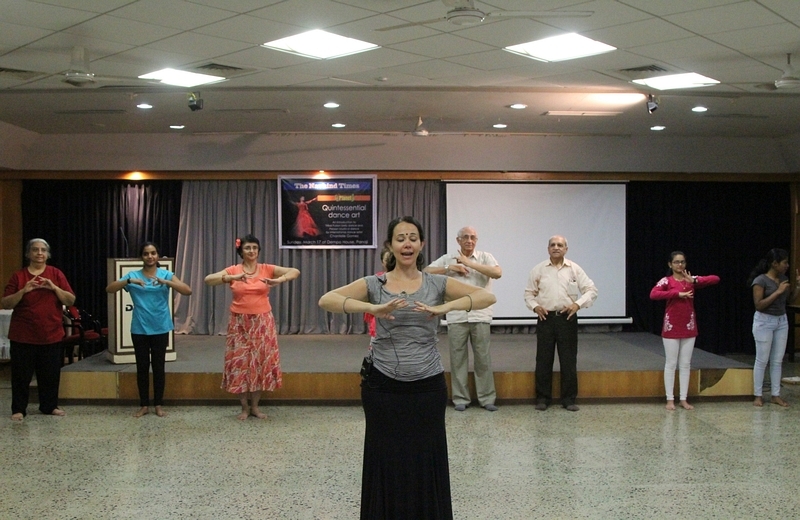 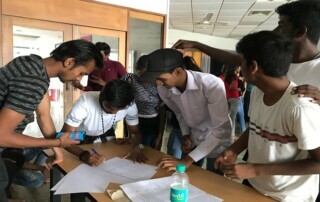 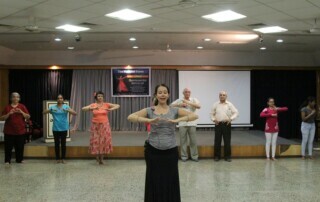 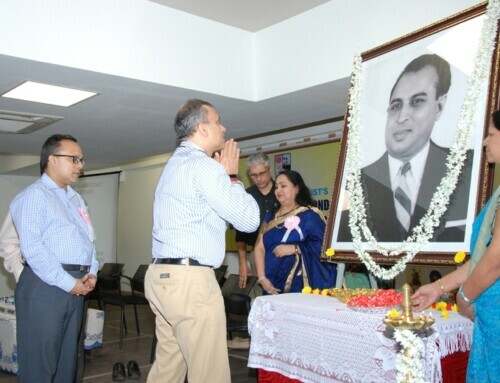 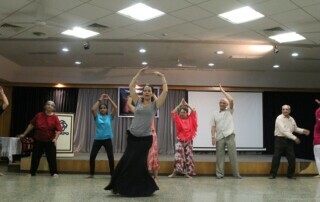 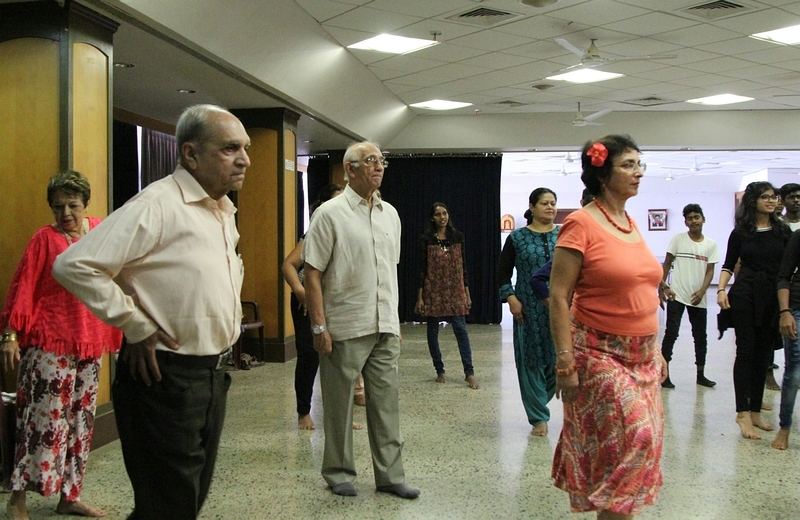 The participants included not just youngster but even adults and some senior citizens. The aim of all present was to learn and have fun. 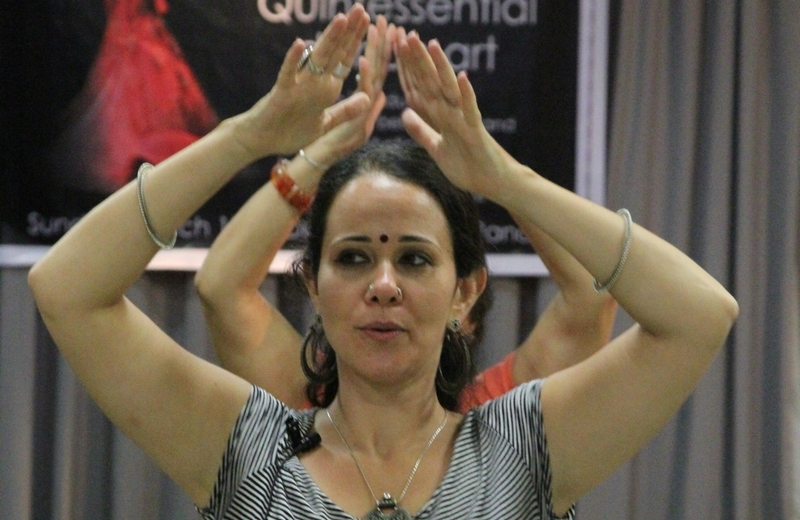 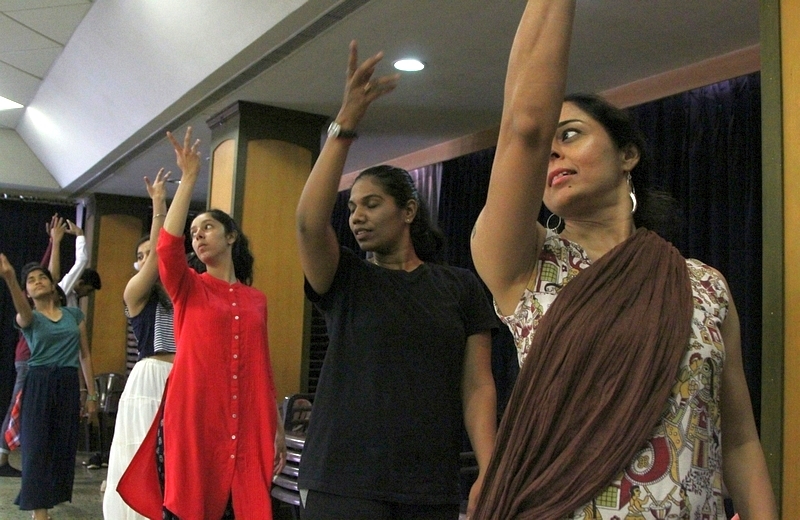 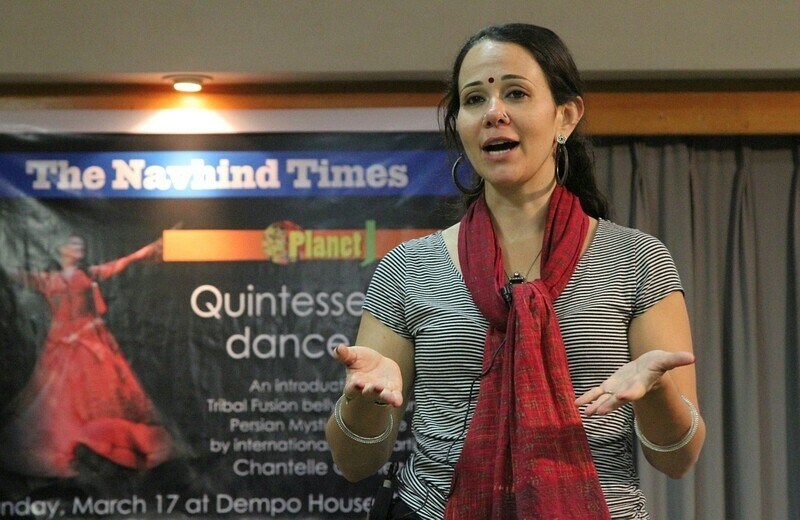 A multi-disciplinary dance artist, and the official ambassador of Odissi and Indian Performing Arts in Portugal, Chantelle, who has been living in India since 2008, began the session with a small introduction of herself and the dances she would be teaching. 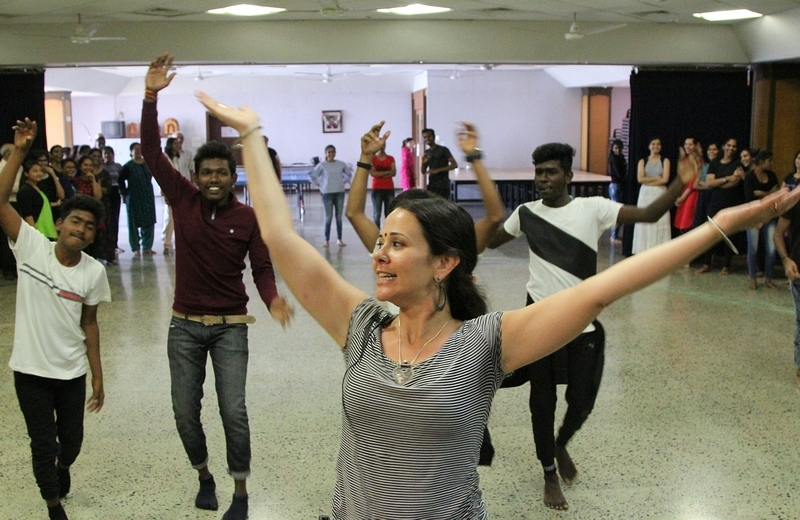 “My parents were not at all happy about my decision to move to India to learn and embrace dance after completing my masters in Marketing. 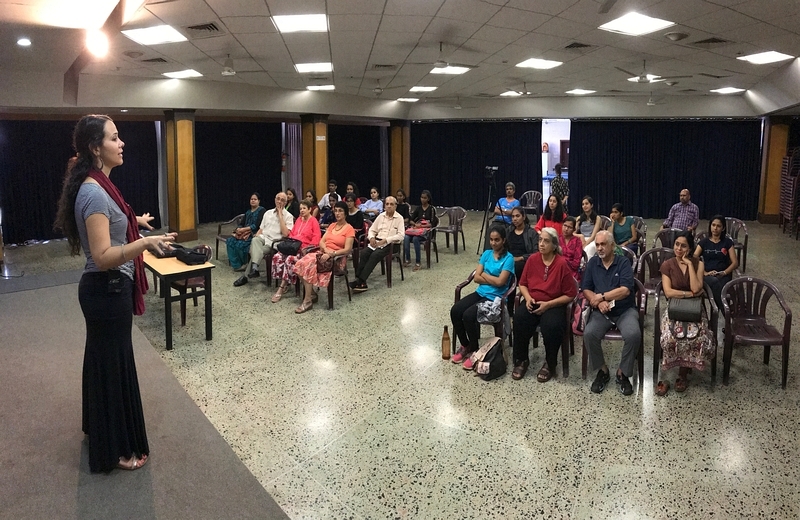 Their concern was how I would earn a living from my chosen path however I persisted and followed my dream,” she said in the introduction. 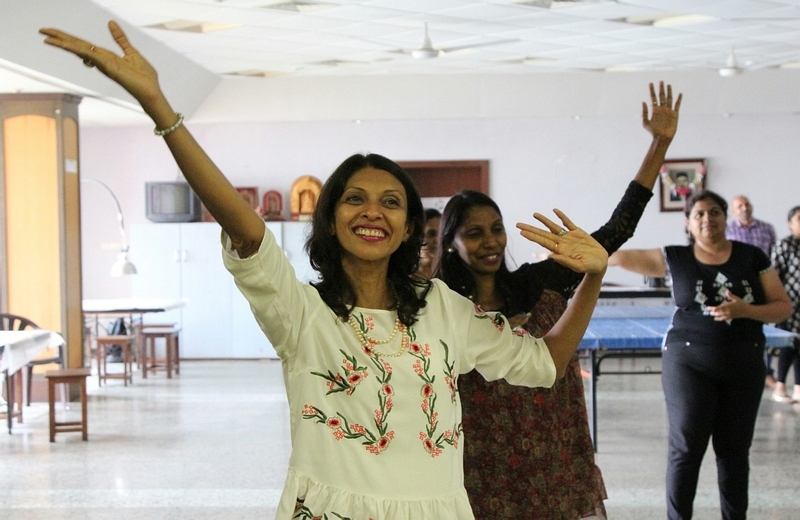 “Today I am not just happy about my decision but also feel empowered and encouraged.” Her message to the participants came across loud and clear, that following one’s dream is important. She then gave a brief history of Persian dance, bellydance and the sub-culture of fusion belly dance from San Francisco. 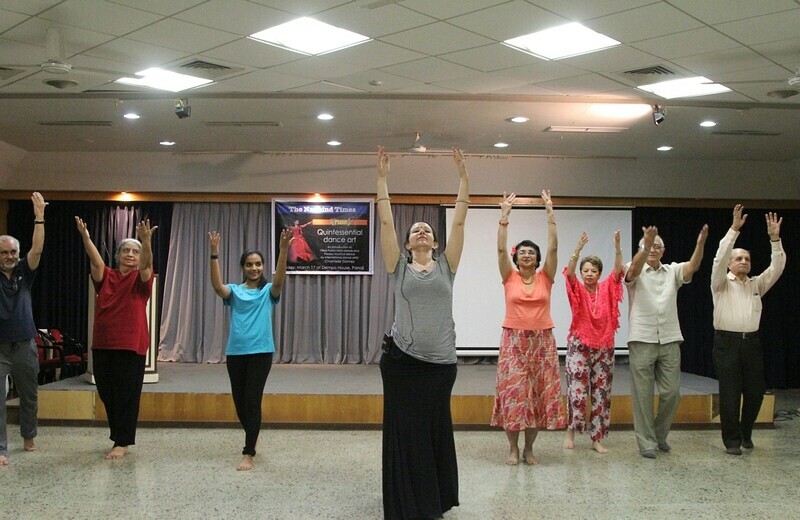 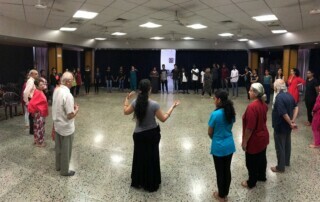 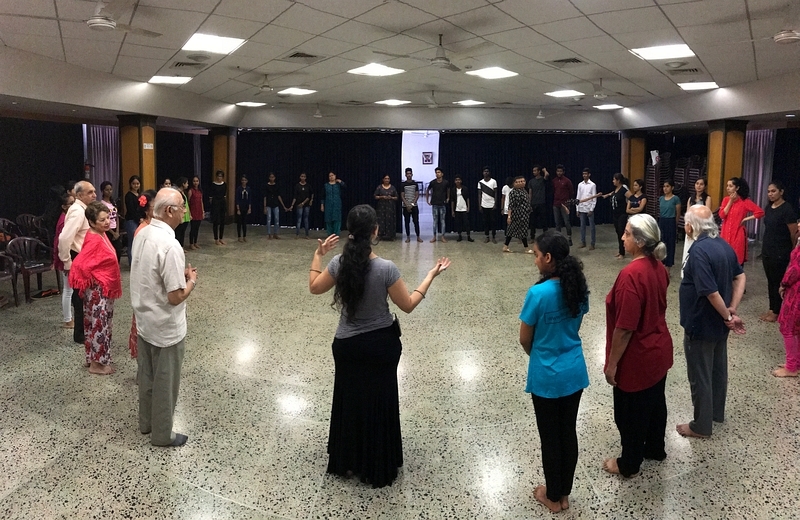 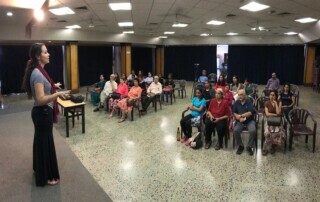 After the introduction, participants were asked to come on the floor and began the practical session with a Persian style pranam which she explained is centred in the heart. 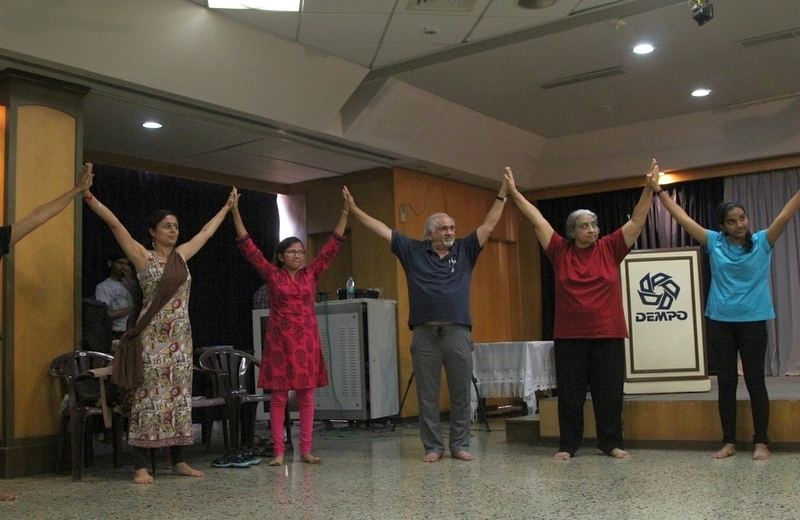 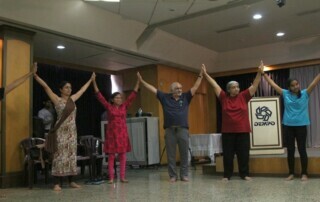 In a large circle, participants unified their energy and performed the pranam as one. Stressing on the importance for gratitude she said, “Be aware that we are very fortunate to be alive and have the freedom to dance and enjoy music. 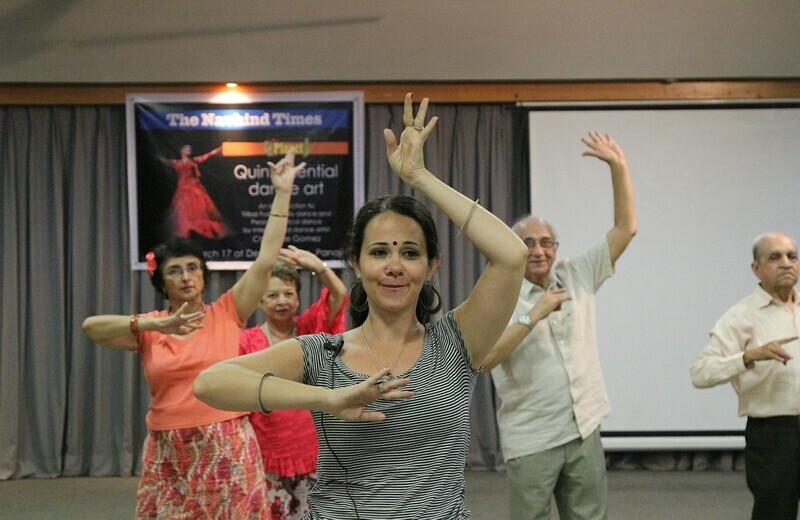 In Iran, dance and music is forbidden.” After a short warm-up session, she taught basic foot work and hand movements besides the turning techniques. 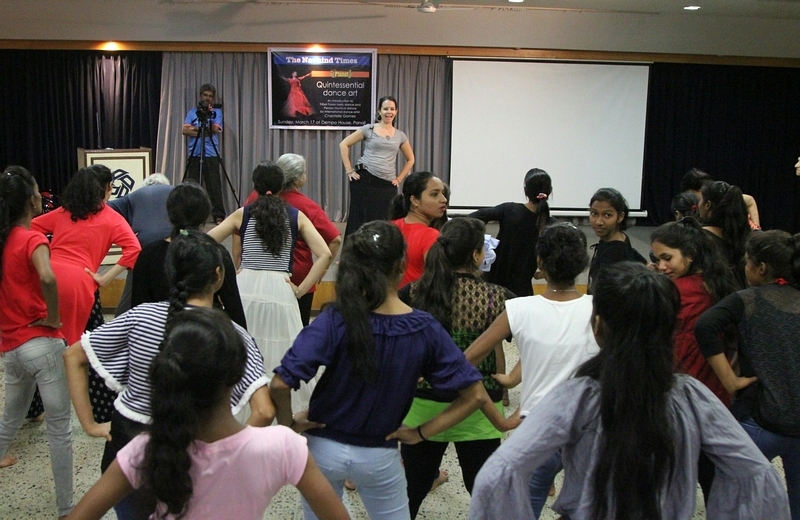 Chantelle’s expertise, agility and flexibility were clearly evident as she guided the participants through all the different dance techniques. 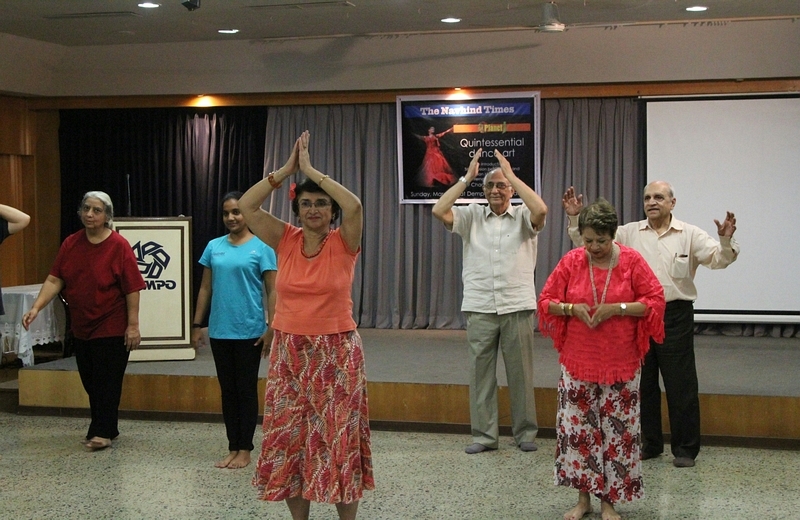 For some the exertion was a bit too much and they had to take a break but most participants were on the floor and danced with gusto from the heart. 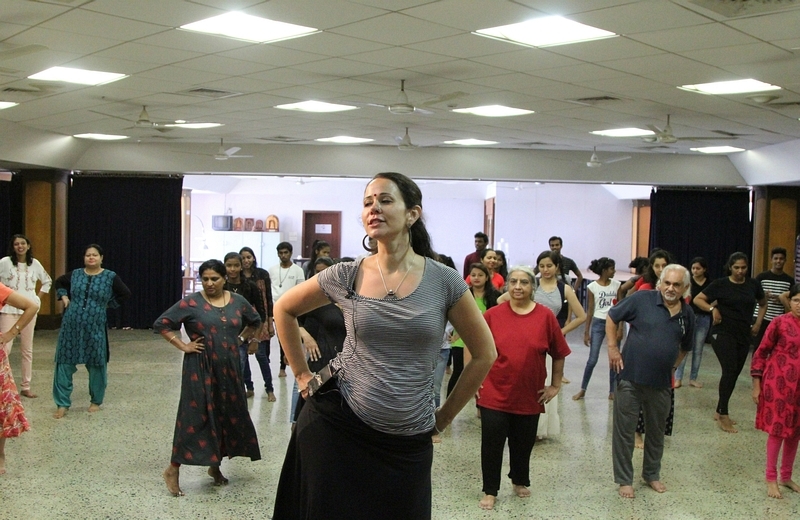 “It was wonderful to see the women open up and move their bodies in a very beautiful and feminine way. 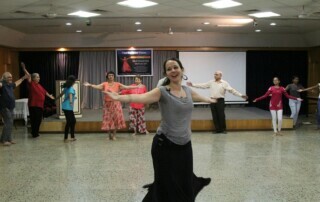 Most important, no one was contrived to bellydance. 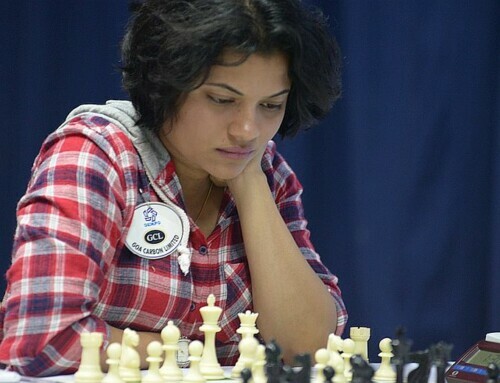 It truly was a heart-warming experience,” she said at the end of the session. I really loved the workshop. I would rank it 5 stars. 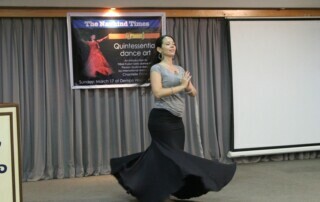 Chantelle was awesome. 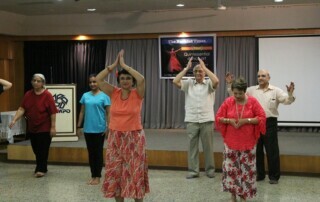 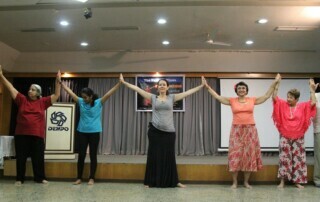 Very energizing and creative dance moves. 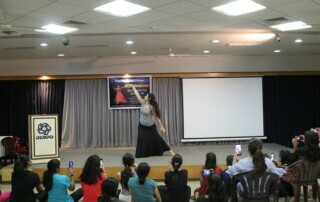 Kept us on the floor all the time, and Chantelle was simply amazing! 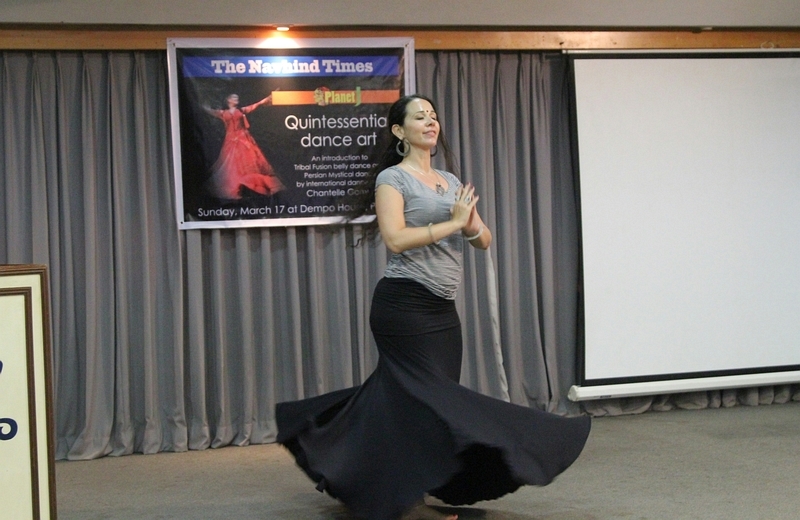 I lved the way Chantelle danced, from her heart and soul. 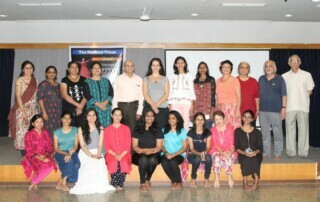 Loved the opportunity to learn. 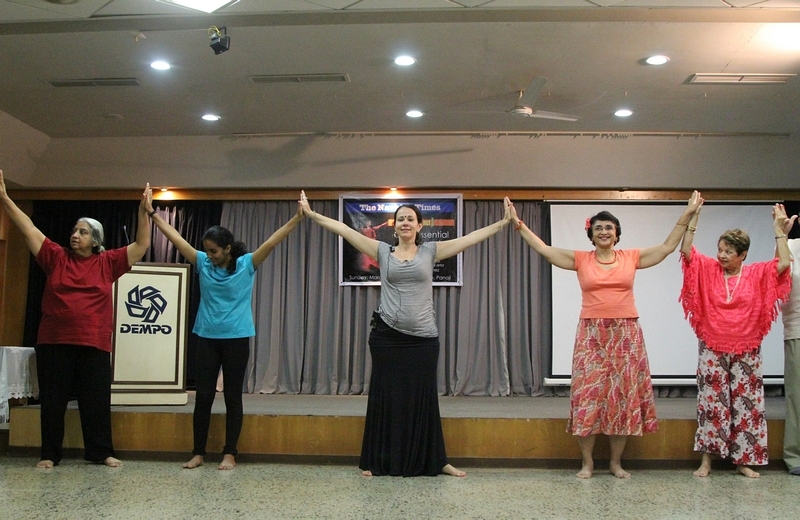 I was lucky to have been a part of something that brings worlds’ and diverse culture together. 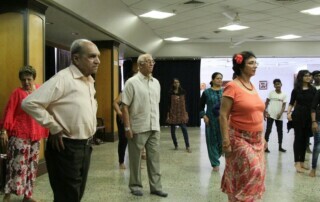 It was relaxing for mind and body.